Are you seeking ways to lower your monthly home mortgage payments, turn your real estate equity into a monetary asset, obtain a reduced interest rate, or simply switch to a full fixed-rate debt? If any of these situations defines you, it is a good idea to consider refinancing your home mortgage loan. However, before you refinance, it is imperative to comprehend the way it performs and assess the advantages and disadvantages for your specific circumstances. For instance, the documentation requirements to obtain approval and the lack of awareness regarding refinancing options are the things that surprise many homeowners. Consequently, knowing the fundamentals of home refinancing and how it helps achieve your financial goals will certainly assist you to determine what mortgage option will be more beneficial for your individual situation. Typically, refinancing is defined as the process of substituting a present mortgage with a new debt. Individuals refinance their mortgage usually to lower their monthly payments, reduce their interest charges, or eventually to alter their entire debt program from an adjustable rate house loan to a fixed-rate debt. In addition, some homeowners require easy access to their money to pay off different loans or finance house renovation projects and take advantage of the equity from their home, in order to get a cash-out refinance. Irrespective of financial goals, the eventual method of refinancing works largely in a similar manner as when one applies for their initial mortgage. 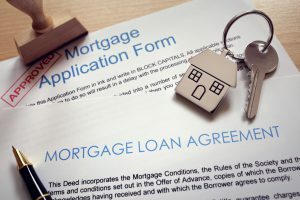 Therefore, you will have to set aside some time to do necessary research on your mortgage options, gather the right financial and other necessary documents, and promptly send a house mortgage refinancing application in order to get the approval. Reduce monthly payments: Studies suggest that refinancing may enable an average property owner to save about $160 or more in a month. Lower monthly payment allow you to use the savings freely towards other expenditures and loans or towards the monthly mortgage payments in order to pay off the loan sooner. Lower the time-period of debt: A thirty-year mortgage may be the most sensible financial decision for property owners who took a housing debt in the initial stages of their professional life. However, lowering the mortgage term can be a good choice for those who aim to pay off their debt sooner. Retire home mortgage insurance: For homeowners who hold enough principal paid off or property, appreciation will not be necessary to bear mortgage insurance that will lower their overall monthly payment. Reduce interest charges: It is obvious that refinancing to a reduced fixed interest rate can certainly decrease your monthly debt payment amount. Switching from previous adjustable-rate mortgage to a new fixed-rate mortgage: When you have an adjustable-rate house loan, you can adjust your payment up or down with changes in interest rates. Switching towards a fixed-rate mortgage with stable and reliable monthly payments can render property owners the sense of realization that their payments won’t change. Utilizing the equity available in your house in order to obtain a cash-out refinance debt: You may have enough equity, with rising house values, to get a cash-out refinance loan that you can use to finance your home improvements, fund large purchases, or pay off loans. Consolidating your initial mortgage and your credit’s home equity line: You can easily simplify your finances and focus on one mortgage by rolling your credit’s home equity line into just one monthly payment. If you hold a debt backed by the VA, USDA, or FHA, you can take benefits from several streamlined refinance programs. Such programs offer a well-simplified approval process by eliminating or lowering several of the credit, income or appraisal reviews which are all included in universal refinance programs. It is imperative to mention here that streamlined refinance mortgages may not offer the ability to cash-out. Also, such mortgages may increase your total cost, like any other refinancing options, over the term of the debt. Even when you have not been able to refinance so far, mortgage programs and interest rates are always changing. Taking expert advice is beneficial in these matters. https://www.completecontroller.com/wp-content/uploads/cclogo_main-long-300x63.png 0 0 Complete Controller https://www.completecontroller.com/wp-content/uploads/cclogo_main-long-300x63.png Complete Controller2018-07-11 10:34:402018-07-12 09:40:55How Does Refinancing Work?